Your body mass index is a measure of your height and weight that is used to determine whether you are within the acceptable limits for your size. It is widely used in the medical world, and can often also be used in the fitness world. There are many benefits to using BMI, but there are also certain drawbacks. 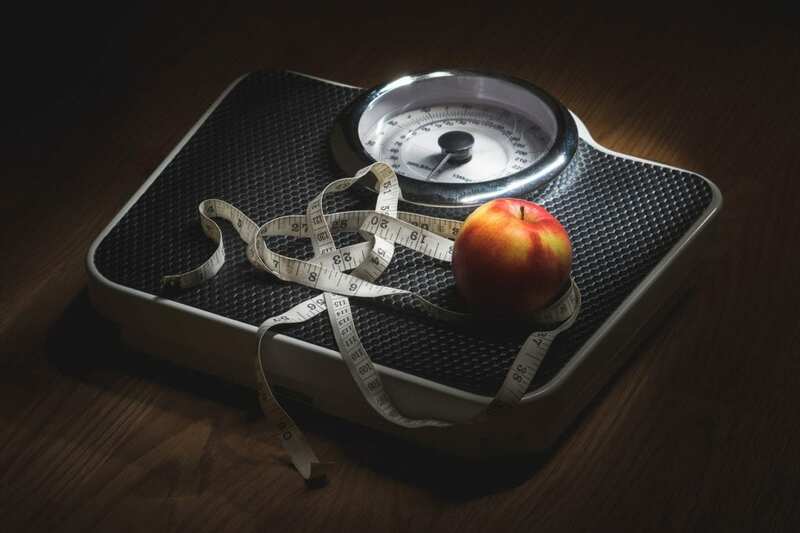 The purpose of this article is to explore whether the BMI is an effective measure of your physique, and to answer the question “does your BMI matter?”. What are the benefits of the Body Mass Index (BMI)? Large population studies on diet and nutrition require a simple to follow and quick to complete measurement for body size. If your study requires 5,000 participants across several countries, your measurement needs to be standardized and easy to do. As a rough guide to size, the body mass index is perfect. Also, if measuring certain populations (elderly, children, and the obese) it is very useful. This is because these populations rarely bring up the shades of grey that can cause the BMI to fall (but more on that later). It also doesn’t require any specialist knowledge or fancy equipment. All you need is a set of scales and an ability to measure height. Doctors don’t need to supervise it, but can pass the job on to someone without specialised knowledge. What are the downsides to the Body Mass Index (BMI)? Where the body mass index falls apart is with people who exercise, or who are young/middle-aged. Your body mass is made up of bones, adipose tissue (fat), organs, and muscle. But the BMI does not distinguish between these, it just adds them together and presents them as one measurement. This can lead to some hilarious results. A British Olympic rowing champion was deemed clinically obese by the BMI measurements despite being in the top 0.5% fittest people on the planet. His large muscle mass and low body fat still contributed to a heavy body weight that when combined with his size gave an “obese” reading. Bodybuilders, boxers, rowers, and many other athletes can be impossible to measure on the BMI due to their large muscle mass. But the reverse can also be an issue, where people who have very low muscle mass can end up being given a healthy BMI score that is not indicative of their current physique. The limitation of the body mass index is that it was designed for large population measurements, and is good at splitting people into three groups (ideal, overweight, and underweight). It is perfect at this function, but it is only supposed to see things in black and white. The shades of grey in between are ignored. Body fat callipers are often used by personal trainers on their clients, but you can use them on yourself. They can be bought very cheaply, but the price can increase massively with the quality of measurement also rising. There are seven locations on the body that you need to measure, and you do so by pulling your skin out and pinching it with the callipers. This will give you a reading, you should take three readings and then use the average. When done correctly this can be a decent measure of body fat, but there are several limitations. Firstly, the taking of the measurements is a skilled job – one that is often taught at university. A bad tester will give wildly inaccurate results. Secondly, even an expert tester can have issues with certain body types. It is possible for someone with low subcutaneous fat (which is what is measured) to be given a low body fat score – even though they are very overweight. This is because the measurements do not take into account visceral fat, just subcutaneous fat. Age can also affect the readings, with elderly people giving lower body fat readings than is accurate. Poor equipment can also make the readings useless. Verdict: An expensive set of callipers, in the hands of someone with a lot of experience using them can be a good indicator of body fat in certain people. However, there are way too many issues that can affect their accuracy. This is where a small electric current is sent through the body, usually via a handheld device. The current will find different levels of resistance as it passes through muscle, fat, and bone. The device will then be able to estimate how much of all three are present in the person and give you a rough idea of what your body fat percentage is. This is a lot more user-friendly than the Skinfold callipers, and potentially more accurate than BMI. But like the callipers the BIA device can vary in quality, a cheap BIA is essentially useless – but even the expensive models can still give out inaccurate readings. Being well hydrated can lead to a huge drop in the body fat reading score that you are given while being dehydrated can also affect it. Other factors such as exercise can also completely change the results. Considering that most people will use these devices while exercising, or just before/after, you can see why the readings are going to be constantly affected. Verdict: Not accurate enough to be effective, but technology is constantly improving. If you do use them, then try to control variables by doing it first thing in the morning (where your hydration, food intake, and exercise will all be controlled). The final option on our list is also the least “technical”. All you need is a set of normal scales, a mirror, a camera, and a set of tailors measuring tape. You’ll also need something to jot down your measurements. Before exercising take a photo of yourself wearing as little as possible, don’t flex for the camera, or hold your stomach in. Just take the photo and try to make the lighting good. Then you are going to measure your waist, hips, upper thighs, upper arms, chest, and forearms (you can also add in calves if you are planning on increasing their size). Don’t flex during this process either. Finally, stand on a set of scales and write down your weight. Record all of these measurements and repeat them each week at the same time and day (as a control). Take a photo in the same position, with the same lighting, and use this to create a visual image of your progress. Verdict: This form of measurement combines numbers and visual evidence. You can use it to estimate your body fat levels, but it is a much better way of tracking progress over a training and nutrition program. The downside of this process is that it is difficult to use for larger population studies, but perfect for the individual. The purpose of this article was to answer the question “does your BMI matter?”. Well yes and no, on the one hand, it is an inaccurate and therefore meaningless number that causes a lot of issues. On the other hand, you should be in such good shape that the BMI isn’t even an issue. If you are far outside your ideal BMI then the chances are that you are overweight/obese rather than an unfairly treated Olympic rower … There are better ways of measuring your physique, but that doesn’t mean you can’t still learn from your score.